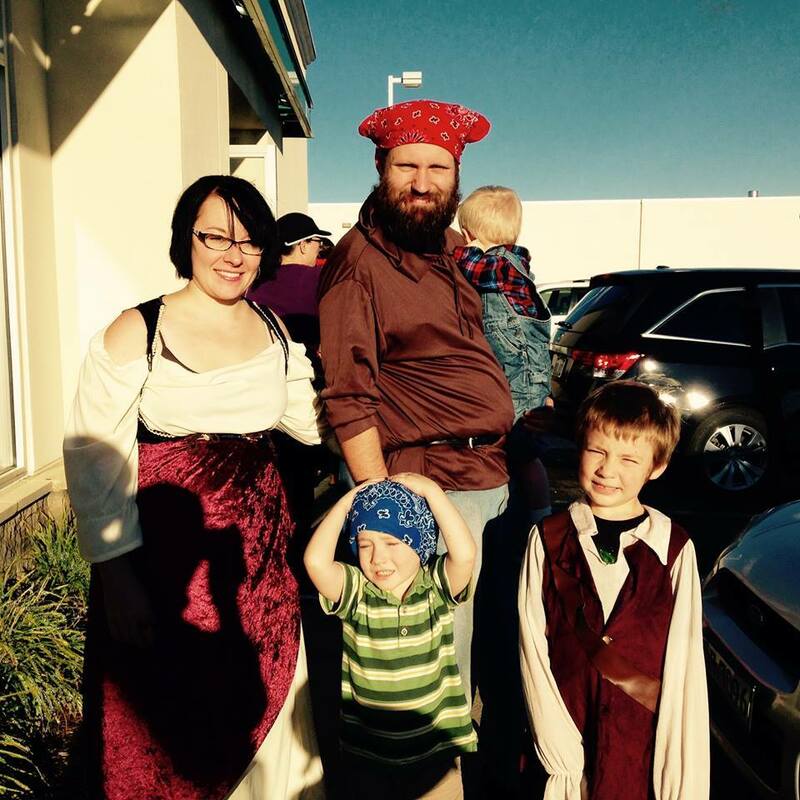 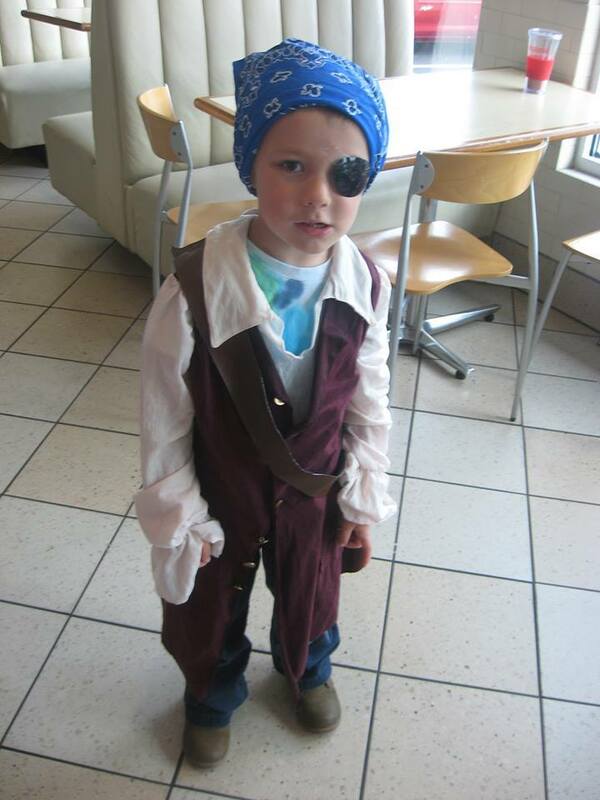 For the past several years, my son, daughter-in-law and grandsons have participated in National Talk Like a Pirate Day, by dressing up like pirates and stopping by their local Krispy Kreme where they were rewarded with free boxes of donuts. 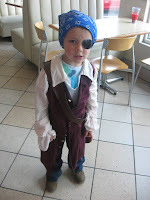 We always remember this fun day, because it is also my oldest grandson's birthday, but this year Kripy Keme is not participating in National Talk Like a Pirate Day. 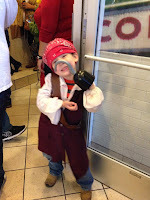 I will miss the photos of my son and family all dressed up as pirates, but maybe next year!